How to be successful climbing Mount Kilimanjaro. There are few things you need to know about how to be successful climbing Mount Kilimanjaro. The right acclimatization, prior training and the right gear all need to be part of your preparation. We just had 19 out of 19 people on the summit of Mount Kilimanjaro. All of them picked our itinerary to give them the best acclimatization, avail of our training and continual advice. The biggest factor in their success was themselves and their ability to get out hiking long distances with heavy back packs. They committed to the training and getting the right gear for the climb. 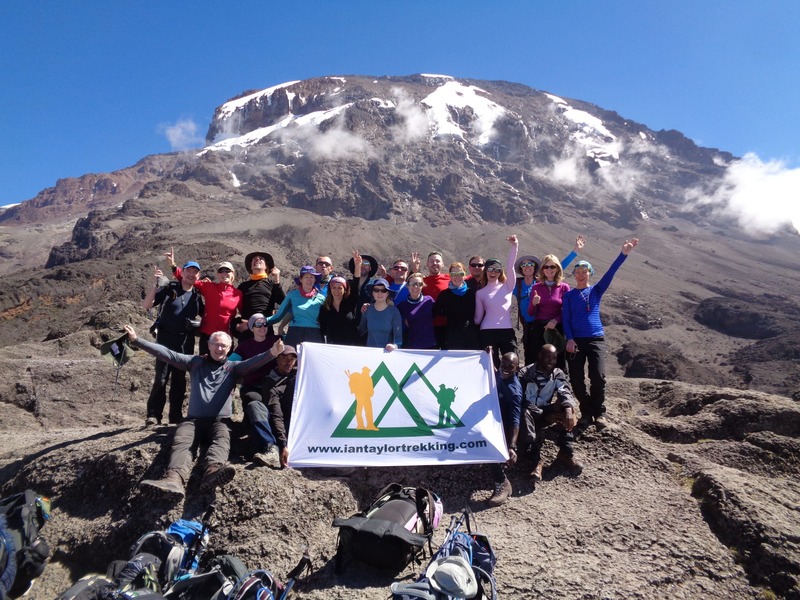 CONTACT US and Join us on Kilimanjaro in 2019, 2020 or 2021. 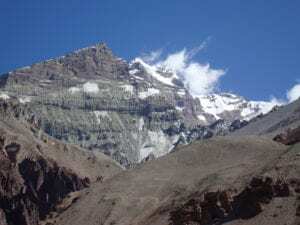 You will be out on the hills for 8 days straight trekking up and down hills some days over 700m/ 2,296 feet up and down in one day. You need to have the physical strength and conditioning in body for this. 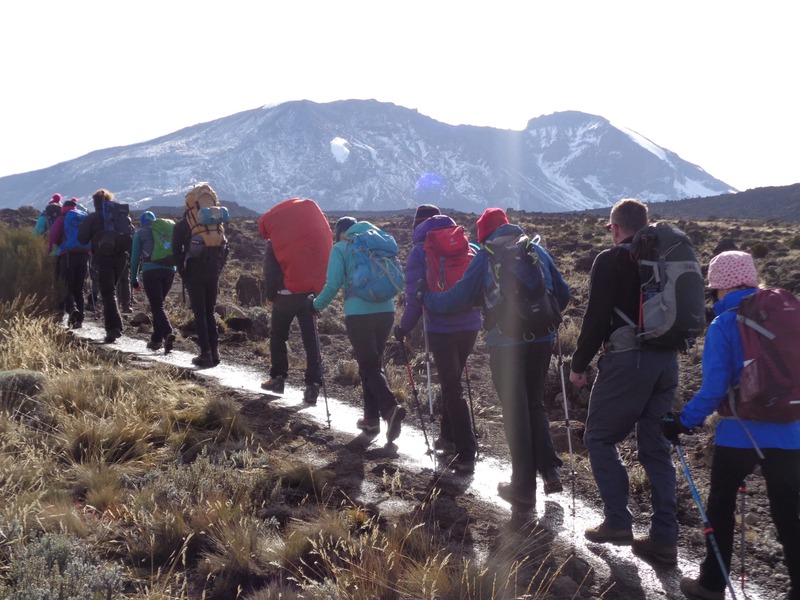 Mount Kilimanjaro is often underestimated by a lot of people and lots of prior training is essential. 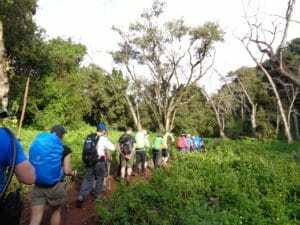 You make it easier on yourself by picking the best itinerary and more days acclimatizing but you need to make sure you can hike up and down hills with a weighted back pack for 4 to 6 hours daily and be prepared for a 14 hour summit day on Kilimanjaro. Before coming to climb Mount Kilimanjaro. Your safety and safety of everyone around you should be your number 1 concern. If you fail to prepare you will fail to climb Kilimanjaro and put others at risk. READ SOME REVIEWS FROM OUR TRIPS. After arriving into Kilimanjaro airport and one night in Arusha at 1,400m/ 4,593 feet we will get straight into the acclimatization process. As you will see in our Itinerary we have an excellent but challenging schedule. Climbing high and sleeping lower is critical for the body to understand what it is going through and acclimatize. This process will help you adapt better to the lack of oxygen so you can enjoy the hiking our itinerary provides. We take to the less traveled western side of Mount Kilimanjaro with unique views of Kilimanjaro. Better views and less people. Our Itinerary will prepare you fully for your Kilimanjaro ascent and add to the training and conditioning you where doing at home. As you can see in these pictures It can be warm and cold so wearing Merino wool layers and protecting yourself from the sun is needed. I like to have a range of 160, 200, 260 merino wool options on my climbs. It can also rain or snow so you have to be prepared for temperatures of +20C to -15C (70F to 5F) There is nothing we can do about the weather on Mount Kilimanjaro. You do want to give yourself the best chance at success so coming to Kilimanjaro with prior altitude experience and having tested your gear prior to arrival will be essential for success. The terrain while acclimatizing is sometimes steep with mixed rock and trails. By hiking prior to an ascent on similar terrain you are giving yourself the best chance to being prepared. Your legs, back and body will thank you. 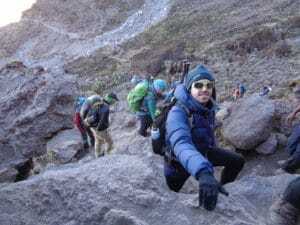 As you can see in the pictures the hiking is a mix of gradients so you need to training on easier and steeper terrain to get the conditioning and muscle memory needed for this trip so you can climb safely up and down. We can help you train properly and advice you on the best way to prepare for your Kilimanjaro climb. CONTACT US. With a lack of oxygen up to 50% less in your body, weighted back pack, extreme weather and challenging conditions high on the mountain. 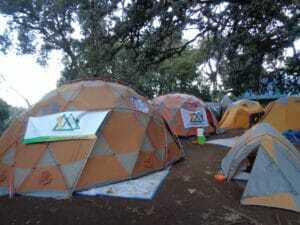 This might draw you to a Kilimanjaro climb. I would suggest getting in touch with us well in advance and start preparing for this climb. 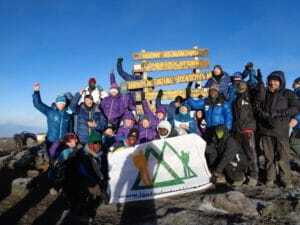 We can help you prepare and give you the best chance of standing on the summit of Africa’s highest peak. We look forward to working with you as you aim to climb one of the most famous mountains in the world.